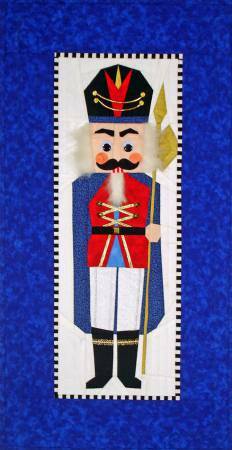 Leopold is #5 in the nutcracker pattern series by Eileen B. Sullivan. Finished size is 14" x 27". Recommended level : Intermediate, comfortable with foundation piecing. One master pattern and one freezer paper foundation printed in color. Die cut mustache and cheeks included.